When Apple unveiled the inevitable iPad mini in late October last year (2012), I was sceptical. I knew it would be successful, as most gadgets from Apple establish a market, sooner or later. However, I was already convinced that there was no place in my life for the iPad mini. I already owned an iPhone and 9.7″ iPad, and could see little value of implementing another iOS device. After venturing to the Apple Store a few times and having a play, my mind slowly began to change. Online reviews were positive, the lack of a retina display was not so apparent on the smaller screen and in a nutshell, the mini was very, very aesthetically pleasing. I finally took the plunge during a trip to the Apple Store in Covent Garden, and asked a member of staff to grab me a 64 GB (wifi+LTE) white mini. My first impressions after unboxing were even more positive than in-store. The mini was light and very comfortable to hold, meaning I could finally use an iOS device for reading! The iPhone is obviously too small for dedicated reading apps such as iBooks or Kindle, whilst the normal sized iPad is quite large and bulky (particularly for commuting with). In this respect, the mini hit the sweet-spot, not being too big or small. As a result, I quickly found many uses for it. E-READER: I already own a Kindle Paperwhite, and although it is a fantastic device for reading on, I have found the software to be a tad laggy in some places. Don’t get me wrong, for the price it is an excellent e-reader, but leaves more to be desired. On the other hand, the Kindle app for iOS is much better than the Paperwhite’s OS. It is much quicker to scan through books, highlighting is easier and animations are smooth. All-in-all, a far richer reading experience. The only downside to reading with the mini is the backlit screen which can strain my eyes, limiting my reading sessions to around 45 minutes, at most. GAMING: I used to use my iPhone for casual gaming, but since owning a mini, I have come to love the bigger screen real-estate. Gaming is fantastic on the mini, be that for angry birds, racing games or strategy (check out Plague Inc, which I will also be reviewing here). Needless to say that the mini is much easier to hold as well. BROWSING: Checking email and general browsing is a lot easier on the mini as well, be that on the couch, in the train or in bed. I could ramble on about further conveniences of the mini, but to summarise I will add that I extensively use Evernote, Dropbox, iCal and other productivity apps on the mini as well. Since purchasing the mini, it has replaced my 9.7″ iPad as my tablet. In-turn, the larger iPad has (almost!) replaced my MacBook as my laptop (in conjunction with with the Logitech Ultrathin Keyboard Cover, reviewed here). With the mini being a solid device and perfect size for commuters, I often wonder why Apple didn’t make one sooner. With a huge amount of apps to choose from, the mini has definitely found a place in my digital life. Nice description Andy. For me Nexus 7 seems far better than Apple mini. I think it is not a good idea to pay £210 more (32GB + WiFi + Cellular: N7 – £239; Amini – £449) just to get an apple product. Except 4G facility, N7 has better specs than Amini. The nexus 7 is a solid tablet and I agree that there is an obvious price difference. Apple do charge a premium for their products. 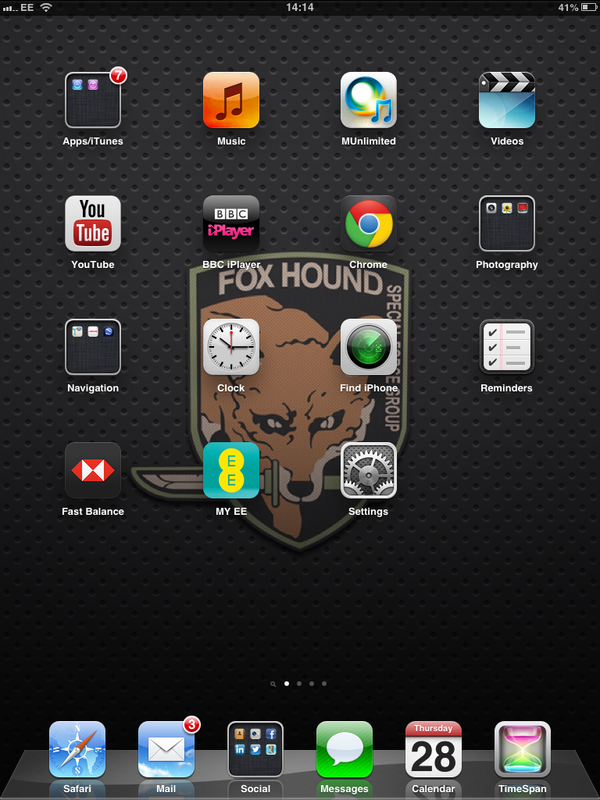 However, the mini is an asset (in my case) as it integrates easily with my other iOS devices (i.e. I already have a ton of apps for iOS).